An extremely sturdy children's wardrobe. How do I know? well, its made by us in our own factory here in the UK and we offer a comprehensive product guarantee. 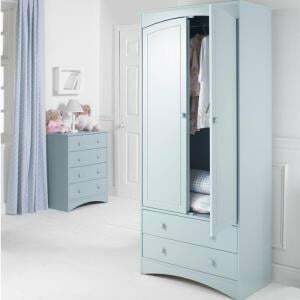 Featuring our superior durable painted finish this childrens wardrobe is an all hanging wardrobe however please choose from the options opposite if you would like a removable shelf or perhaps a second hanging rail. Other colour options are also available. Scroll down below for matching furniture options. No assembly required and delivered by our 2 man delivery team to the room of choice. Please ensure that you have sufficient access. 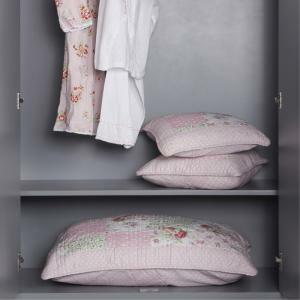 No assembly required - this wardrobe is large and heavy please ensure that you have sufficient access to enable a successful delivery. Lovely website and your service was fantastic. Every time I rang I was answered quickly and politely. The goods were received in the timescale advised and the delivery men were polite and helpful. I will be coming back to you next year to buy the rest of my son's beautiful bedroom set when I have saved enough money. Thank you from a very happy customer. 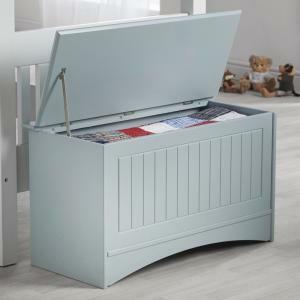 This bedside table is one of a choice from our Barney & Boo Collection of childrens furniture. Featuring 2 drawers and an open top shelf for bits and ..